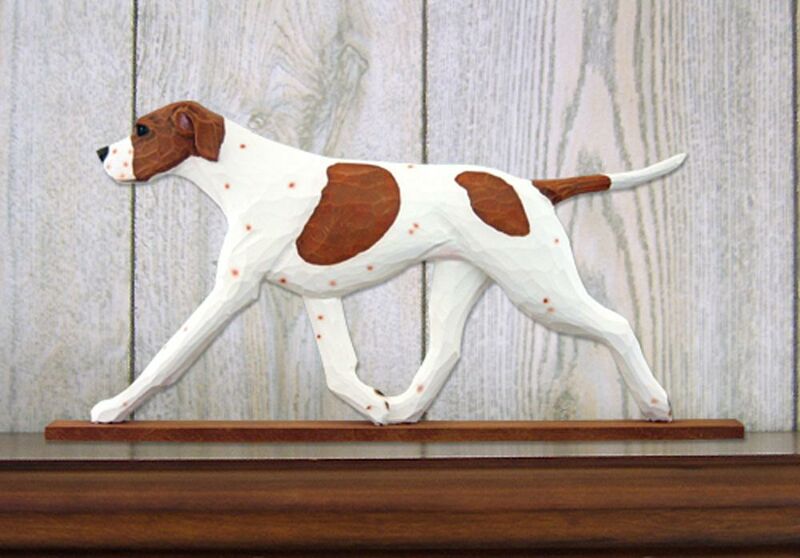 Our brown and white Pointer dog figurines are our second color style for the breed. 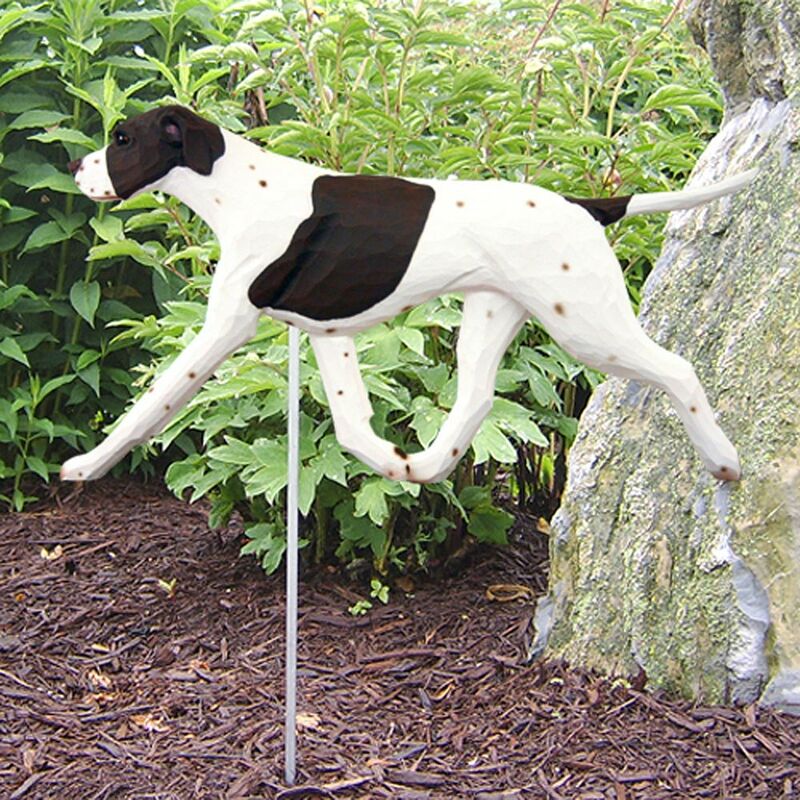 Markings are identical to our black and white Pointer but are brown rather than black. 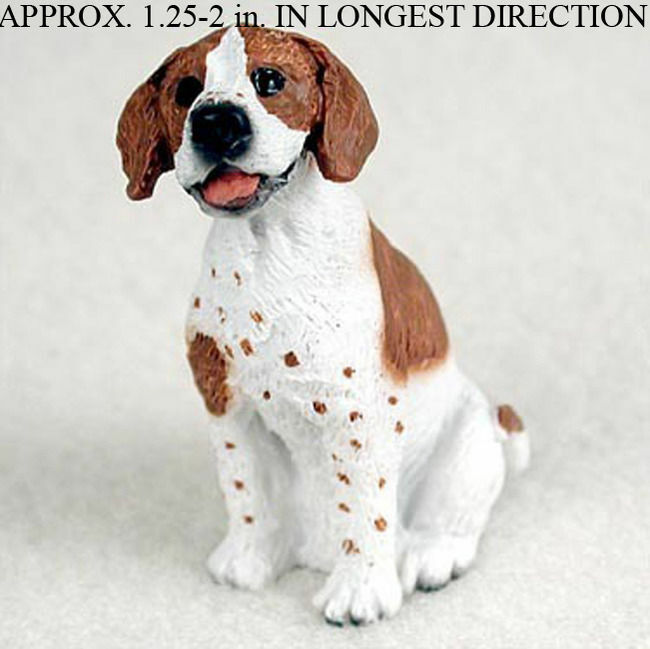 The entire figurine is white with brown marks on the tail, back, and face. 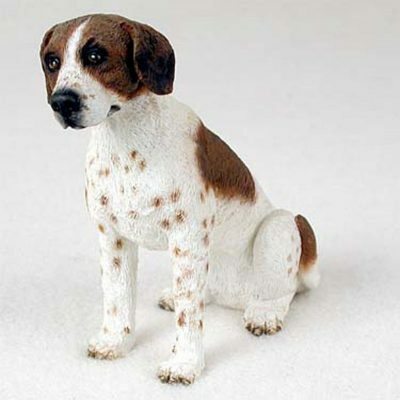 Small brown spotting is visible on the hind legs, forelegs, chest, and muzzle. 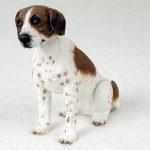 The figurine represents the real life breed with a compact, strong, and muscular build. 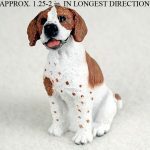 The figurine is available in the sitting position you see in the image. This position allows greater visibility to the chests color pattern. 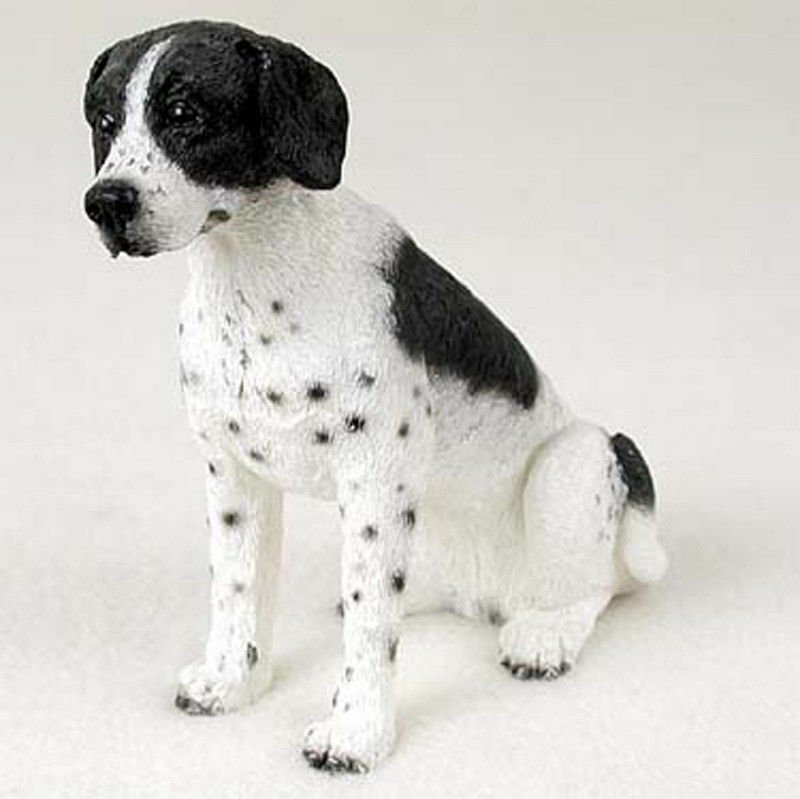 You can view our other Pointer dog figurine here: Pointer Dog Figurine Black/White.